(Carmel, Ind.) 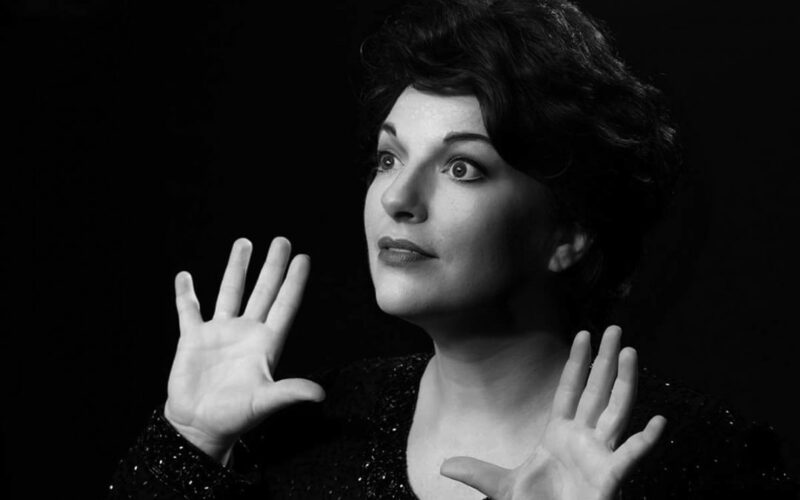 — Tickets are now on sale for “Katy Gentry is Judy Garland LIVE!” the third show in the Magic Thread Cabaret 2017-18 season, proudly staged as a resident company of The Cat Theatre, a 120-seat venue on Veterans Way in Carmel, positioned between the lively Carmel Arts and Design District and much-anticipated Monon Boulevard. Fans will enjoy an unforgettable evening or afternoon with the talented and accomplished Central Indiana native, Katy Gentry, as she recreates performances by legendary superstar Judy Garland, accompanied by music director and pianist-composer Dustin Klein, bassist Christian Starnes and drummer Greg Wolff. Gentry has made her home on professional theatre stages for over 25 years. She was an original cast member in the world-premiere Johnny Cash musical “Ring of Fire” with Fireside Dinner Theatre and Circa ‘21 Playhouse, performing to sold-out audiences. She has performed with the Indianapolis Symphony Orchestra in leading and supporting vocal roles, sharing the stage with many acclaimed Broadway performers and recording artists. Other notable Equity credits include “The Odd Couple” (Gwendolyn), “Nunsense” (Sister Amnesia), “The Taffetas” (Cheryl), and “The Wizard of Oz” (Chorus/Dorothy u/s). On request from acclaimed composer and arranger Greg Gilpin, Katy made her debut at Carnegie Hall in 2012 in the role of Dorothy in the world premiere of Gilpin’s arrangement of “The Wizard of Oz” in the “Reflections of Life” concert hosted by Clay Aiken. 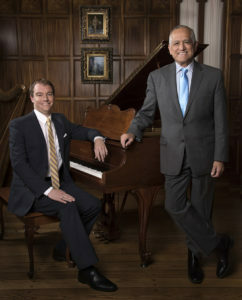 Producing partners Klein and Tom Alvarez of Klein & Alvarez Productions, LLC created the best-selling show of IndyFringe Festival 2016 and followed that success in early 2017 with the world premiere of the full-length, top-selling “Calder, The Musical” that was recognized by theatre critics with two Mitty Awards for “Most Impressive Original Production” and “Most Impressive Set Design.” Klein and Alvarez debuted Magic Thread Cabaret in November 2017 featuring former Great American Songbook Youth Ambassador Lucas DeBard to packed houses in Indianapolis before moving the series to Carmel. 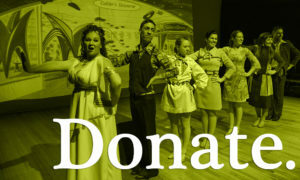 Magic Thread Cabaret is a nonprofit venture with the goal of “Connecting songs to the soul.” The series is made possible by a generous $10,000 gift from arts patrons and philanthropists Marianne Glick and Mike Woods. It is fiscally sponsored by Fractured Atlas, the New York-based nonprofit technology company that provides business tools for artists. 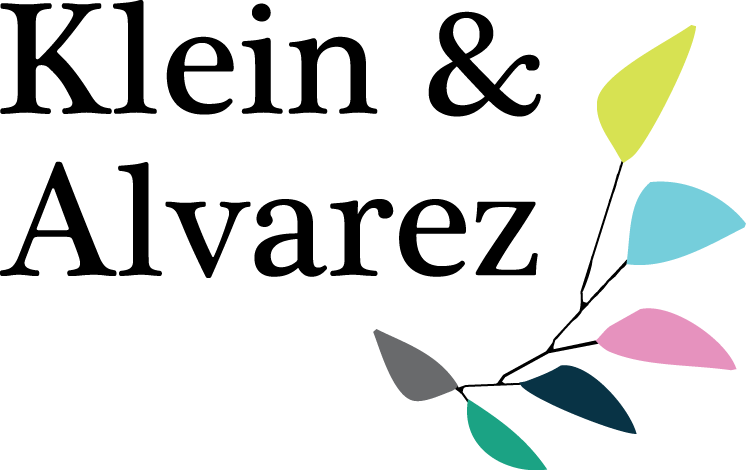 Other sponsors include Frank and Katrina Basile, Terry and Louise Lingner, Christina Kite, Noble Consulting, Diane Meyer Simon, Rachel Simon, BMO Harris Bank, Nancy Landman and Jeri Starbuck. Current Publishing is the media sponsor. 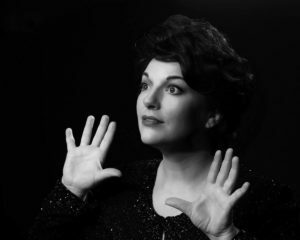 Three performances of “Katy Gentry is Judy Garland LIVE!” will take place the weekend following Independence Day, Friday, July 6 and Saturday, July 7 at 7:30 p.m. and Sunday, July 8, 2018 at 4:00 p.m. at The Cat, 254 Veterans Way (formerly 1st Ave. SW), Carmel, Indiana, 46032. Tickets are $35 and $25 and reflect seating options, with a beer and wine cash bar and light refreshments. Patrons can buy tickets online at https://katygentry.bpt.me or reserve their seats by calling (800) 838-3006 or emailing willwood@thecattheatre.com. Interviews with Katy Gentry or producing partners Dustin Klein and Tom Alvarez can be scheduled by contacting Shannon Samson at (317) 999-7088 or shannonsamson22@gmail.com.